Students at Clemson University announced plans to ‘sacrifice a lamb, perform bloodletting, and bible burning’ via a poster posted on school grounds. The event was scheduled for March 11th, 2017; and is being carried out by the “Clemson Unorthodox Neo-Satanic Temple.” No particular location was specified for the satanic ritual. The Clemson Satanic organization placed flyers around campus seeking attendance for their bloodletting, bible burning ritual. The poster reads that a live lamb will be sacrificed, and a cash prize will be given to the individual who can burn the most bibles. 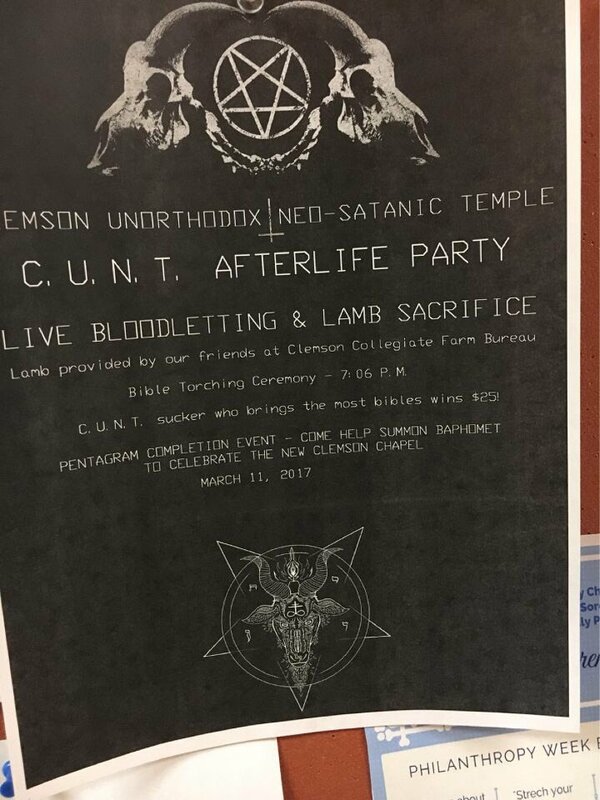 The event will be capped off with attendees attempting to summon baphomet at the new Clemson Chapel. The New Clemson Chapel most likely refers to a building currently under construction on the Clemson University campus, which will be named after Samuel J. Cadden. 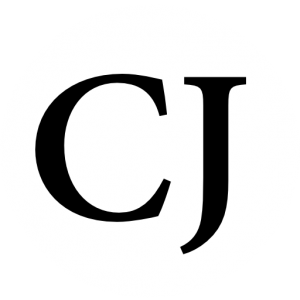 Cadden was a student who died in a car accident in 2015; Cadden kept a bucket list of life goals within his Bible, and one of his goals was to have a building named after himself at the Clemson University. 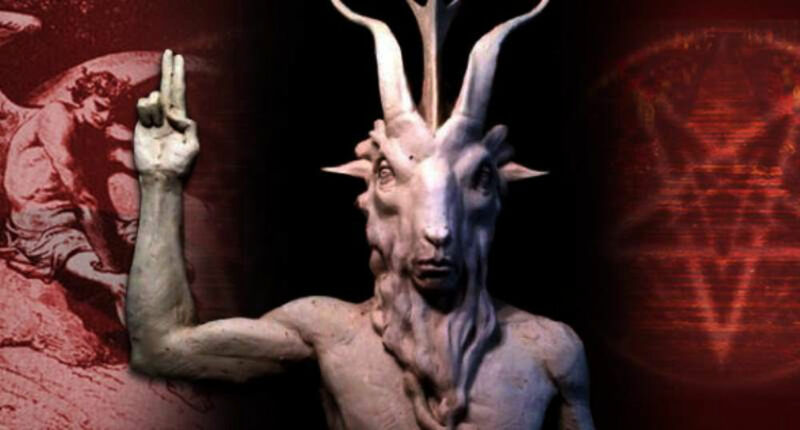 In addition to Cadden, other students who passed away at the University prior to graduation will have their names engraved on the chapel – and satanists are attempting to destroy their memory. However, the chapel has no religious orientation, meaning that it is designed for all religions, and for all students; rather than having separate chapels – all religions can worship under one roof. Thus, paving the way for the generations ahead to accept a one world religion. Director of College Relations Kirby Player denied the claim that the Farm Bureau would provide the satanic organization with any livestock whatsoever for ritual slaughter. Thankfully, Clemson students sounded off on Twitter in an uproar over the Satanic event. The rise of Satanism in America is increasingly becoming more evident as larger satanic groups strike at the hearts of the youth. The satanic temple, which claims to be atheistic in nature, also performs several bloodletting rituals around the country. What is happening to America? Tell us what you think below. Oh dear God.. Please put a stop this is and confound the enemy. I pray for the safety of Christians who maybe near the event.